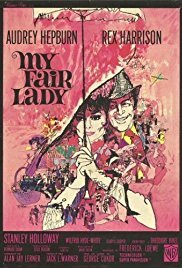 “My Fair Lady” is based off the famous stage play, featuring one of the same actors to reprise their role on Broadway (Rex Harrison as the intelligent yet self-absorbed professor Henry Higgins), though nowadays seems more known for how it messed up its casting of the lead actress. On Broadway, the role of Eliza Doolittle, the Cockney uncultured flower girl the professor takes in to teach her how to speak properly, was played by Julie Andrews. While Rex Harrison was immediately offered to play the same role, the studio didn’t do the same with Andrews. Ultimately the studio gave the role to Audrey Hepburn, who could barely sing and had to be dubbed over during all of her musical scenes. This actually worked out for Andrews, as it gave her a chance to play the role she has become well-known for – “Mary Poppins” which she won Best Actress for, while Hepburn didn’t even get a nomination. 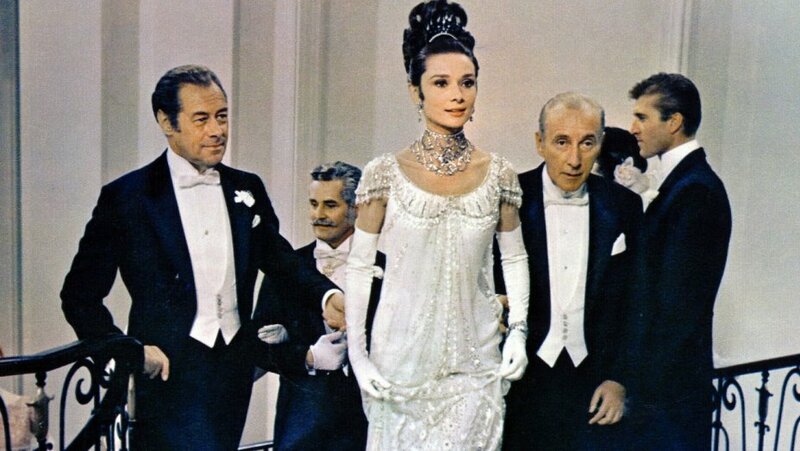 And while “My Fair Lady” won Best Picture, among seven other Academy Awards, the poor casting choice has certainly tainted its legacy. Beyond this though, “My Fair Lady” is a charming film about the class divide in England and how both the rich and poor divide themselves. There’s an air of snobbishness to both Professor Higgins and Eliza, like they both think they’re better than the other and their way of life is superior. Higgins preaches about intelligence and culture, while Eliza and her father (Stanley Holloway) see nothing wrong with a little hard work and adversity, and both are too stubborn or proud to give the other an inch, making their working relationship as fiery as their personalities and as loud as their screaming. The music is as classical as its time period, showing off its colorful language and vocabulary while remaining whimsical and enchanting. It follows the pattern of speaking its music, rather than singing, especially from Rex Harrison as the music plays to his tune rather than the other way around, but that makes this musical even more unique and fascinating. Rather than the music serving as a emotional punch to many scenes, it showcases the power of the English language in all of its subtleties and complexities, much like what Professor Higgins is trying to do for Eliza. The music is a tool that, when used effectively, adds another layer of wit to this movie. Hepburn is fine in the role of Eliza Doolittle, as I found her Cockney side endearing and oddly natural while her drive to improve herself is admirable. Even if Hepburn couldn’t sing, its her non-musical scenes that really stand out. Though the real star of the picture is Rex Harrison as Professor Higgins, who goes all in on being the most irredeemable man on the planet. He is set in his ways and refuses to budge for anyone, wanting to share his knowledge and insight with the rest of the world, though does so in the most condescending manner possible, all while giving Eliza endless reasons why he treats her like a worthless bug. He’s a man who believes he’s thinking with his heart, but cannot get past his own ego and intellect. Overall, “My Fair Lady” is a charming experience with a sordid history. I have no doubt this would have been much better with Julie Andrews in the leading role, but on its own this film does not disappoint. Its strange use of singing works surprisingly well and the performances are stellar. As a film about the class difference, it has a unique way of going about it by showing that one side isn’t necessarily better than the other. Even if this didn’t win Best Picture, I’d still highly recommend checking this out.